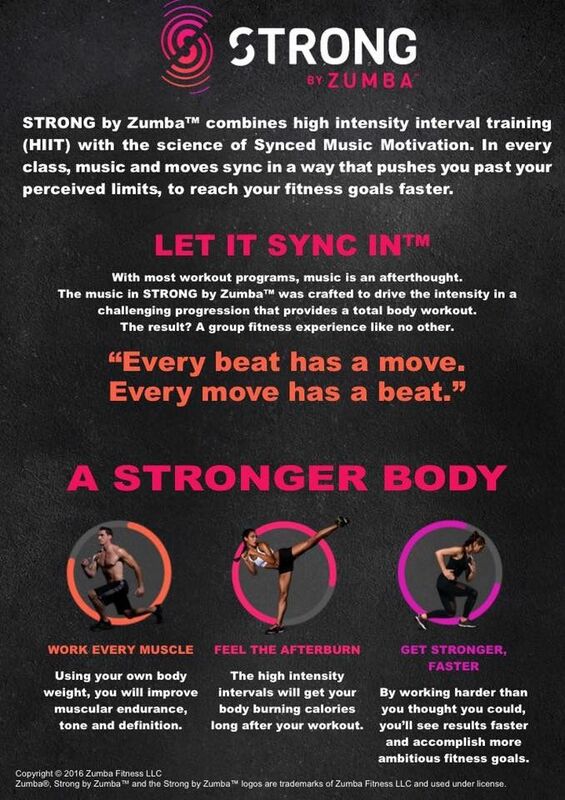 Have you heard of the brand-new program STRONG by Zumba™? The non-dance, high-intensity, bootcamp class is unlike any you’ve tried before. Why? Because of the importance Zumba has placed on the relationship of syncing music to movement. STRONG 30™ packs a challenging total-body workout into 30 minutes. This efficient and focused class helps you fit fitness into any schedule. It’s official! 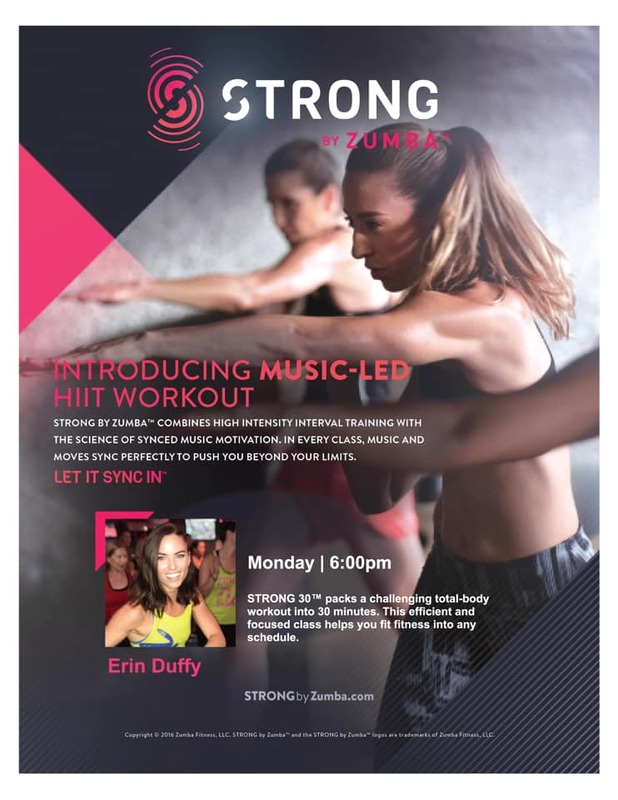 Erin Duffy will be teaching STRONG 30™ by Zumba® on Mondays at 6pm starting Monday, February 11th. Make plans to join us Monday’s at 6 for this awesome workout!